Considerable cloudiness. Occasional rain showers in the afternoon. High 58F. Winds SSW at 5 to 10 mph. Chance of rain 60%.. Considerable cloudiness with occasional rain showers. Low around 50F. Winds light and variable. Chance of rain 60%. 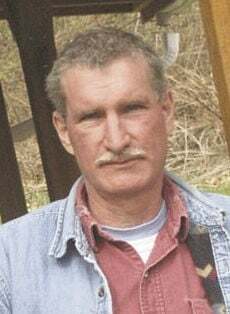 Clinton Joseph Hayes passed away on March 12, 2019, peacefully at home, of natural causes in Richland, Washington at the age of 55. He is survived by his mother, Judy J. Sides of Rochester, Washington; his brother, Clay Hayes; a nephew, Coleton of Sand Point, Idaho; a daughter, Nicole Hayes of Minnesota, and two grandchildren, Blake and Hunter. He was preceded in death by his father, Autumn Joe Hayes Jan. 26, 2019, Yelm, Washington. Clinton was born in Fort Gordon, Georgia while his parents were stationed there for military service. They moved back to Yelm, Washington where Clint graduated from Yelm High School, in 1981. He moved from Yelm to Richland, and worked as one of the most highly skilled carpenters in restoration for many years. He loved his work and was a perfectionist. He was recognized for his high success in mediating between customers and his company. He was a nature enthusiast, early riser, and caretaker at Pot Holes State Park, immersing himself in bird watching during migration. You could be treated to a memorable visit with Clint sitting after dark around a campfire, watching a mother owl teaching her young to hunt as they left the nest, swooping silently from knot holes in the barn for the first time. He was known for his love of all animals in particular his dogs with “Sadie girl” taking a big piece of his heart. Clint had compassion and patience. He once indulged his mother, who had never hiked a mile in her life, by accompanying her on a 30 - mile hike on the Kettle Crest River Trail, feeling compassion at her mistake, and keeping his patience the entire hike. Clint was happy with the simple things in life. He enjoyed family history, he’d be the one to pour over your memoirs and keep the family Bible safe. He will be greatly missed by those who loved him. Go outside, take a walk in the woods, a waterfall, enjoy nature, and when you can, think about A Random Act of Kindness, because Clint would want you to. Memorial Service to be announced.